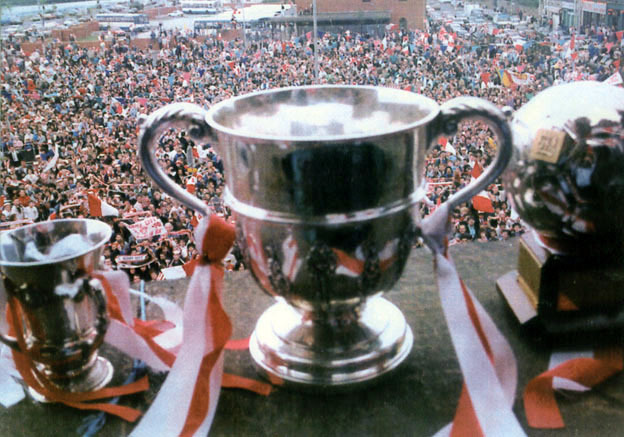 Derry City FC will celebrate the onset of the 2019 season with a special event for season ticket holders marking the 90th anniversary of the club’s first competitive match as well as the 30th anniversary of that record-breaking ‘treble’ season. Magee College have agreed to host the evening on Friday 8th February at 7pm in their new state of the art lecture theatre which holds over 300 people. Guests from those earlier years will be joined on stage by Manager, Declan Devine who will discuss the present generation at Derry City and Academy Director, Paddy McCourt who will give an update on progress at underage level. Both the youth team players and the senior squad will be well represented on the night and as well as the Q&A session there will also be light refreshments provided and a chance for a meet and greet for supporters. The event is free, however those wishing to attend should email [email protected] to reserve their place. Please note that this event is open to 2019 season ticket holders only as capacity is restricted.